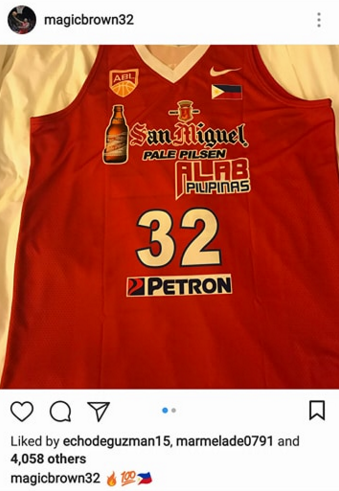 Formerly Tanduay Alab Pilipinas, the team is now known as "San Miguel Alab Pilipinas" as per Justin Brownlee's Instagram post. 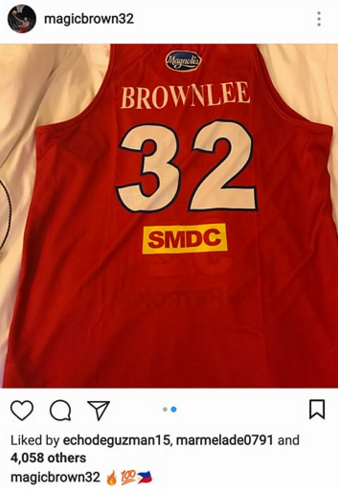 Brownlee took a photo of his new uniform for the Asean Basketball League (ABL). Clearly, the Tanduay label is no longer on it. SMC literally took over the jersey completely. San Miguel grabbed the opportunity to sponsor the team after Tanduay abruptly pulled out of the role due to alleged disagreement between the management and partners.